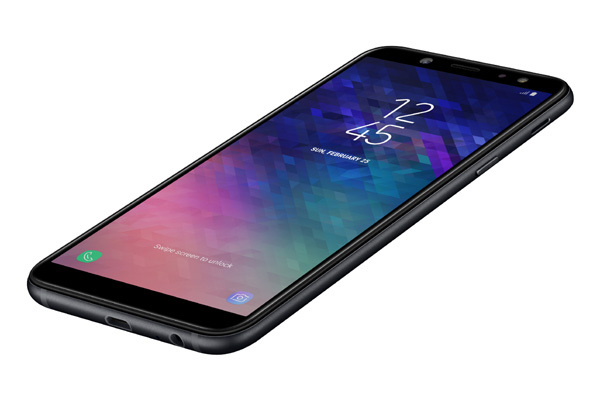 Samsung Gulf Electronics has launched the Galaxy A6 and A6+ in the UAE, the devices combine everyday convenience and stylish design with an advanced camera. Featuring a powerful front and rear camera, a sleek premium design, super Amoled screens and Samsung’s signature Infinity Display, said a statement. “With the new devices, we aim to provide a premium smartphone experience while still delivering on consumers’ needs for practicality and convenience at affordable prices,” he said. “What’s more, we have added an impressive camera to the Galaxy A6 and A6+ that lets users capture, personalise, and share their most memorable moments,” he added. With the new devices’ feature an adjustable front LED flash, through which users can snap stylish and glamorous selfies, from day to night, even in low light conditions. The rear camera’s low-aperture lenses ensure that users can also capture sharp, clear photos in low light conditions, without sacrificing image quality no matter what time of the day, it said. The Galaxy A6+’s Dual Camera can even further enhance the pictures and moments that matter with Live Focus mode, meaning that users can control the depth of field and bokeh effect before or even after the shot is taken. Users can enrich their pictures with unique background blur patterns in a range of shapes including hearts, stars and more, it added. Users can experience a richer surround sound experience to enjoy movies, music and more with Dolby Atmos optimised audio. The mobiles provide a full range of sound from highs to lows, with outstanding clarity and true-to-life detail for a more powerful and immersive audio experience. Users can choose to turn on the Dolby Atmos effect to transform their audio with breath-taking moving sound that flows around them, said a statement. The Galaxy devices continue to set the standard for the ultimate uninterrupted viewing experience on the 5.6” HD+ super Amoled screen of the A6 and the 6.0” FHD+ super Amoled screen of the A6+. Samsung’s signature Infinity Display goes beyond the bezel, featuring an impressive 18.5:9 screen ratio . Its sleek smooth curves and metal design have been engineered to offer improved durability and comfortable grip for maximum usability, without compromising on style. Designed with practicality and everyday convenience in mind, the mobiles integrates several popular features from Samsung’s flagship, including hassle-free security with face recognition and fingerprint scanning for a quick and effortless way to unlock the device. Both devices make multitasking fast and easy with App Pair, fully utilising the devices’ large ergonomic screens by allowing users to pair two apps, halving time and doubling enjoyment. With the Always on Display users can get information at a glance without unlocking their phone, saving on time and battery life. The Galaxy A6 and A6+ also support Bixby Vision, home and reminder. Samsung’s Bixby can assist users in completing a range of everyday tasks.